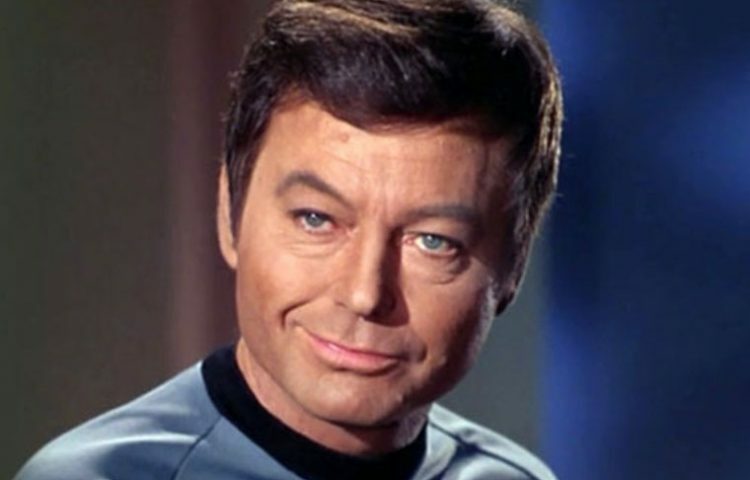 On what would have been his 95th birthday, we here at TrekNews.net would like to acknowledge DeForest Kelley. His iconic portrayal of Dr. Leonard “Bones” McCoy in Star Trek, made him household name and propelled the Georgia-native from a supporting character in the first season of the series to the main cast in the following seasons and feature films. Born Jackson DeForest Kelley on January 20, 1920, his acting career began in 1947, with the low-budget feature film Fear in the Night. Kelley’s career would go on to span five decades, as he would have roles in films such as Variety Girl, Taxi (1953), The View from Pompey’s Head, Gunfight at the O.K. Corral, Warlock, and in television with The Lone Ranger, Science Fiction Theatre, Gunsmoke, Rawhide, The Fugitive, and Bonanza. In 1964, Star Trek creator Gene Roddenberry offered the role of Spock to Kelley, which he refused. Of course, Kelley later accept the role of the cantankerous Dr. “Bones” McCoy, on the show. 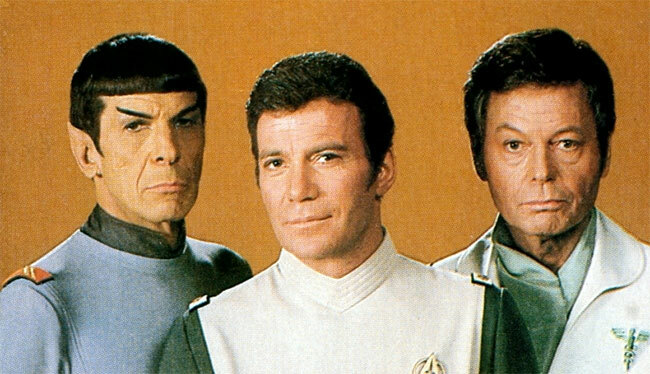 Opposite William Shatner as Captain Kirk and Leonard Nimoy as Spock, he and his castmates would create one of televisions most-memorable on-screen trios. He would play the character of “Bones” in all three seasons of TOS, in Star Trek: The Animated Series, and in six feature films. 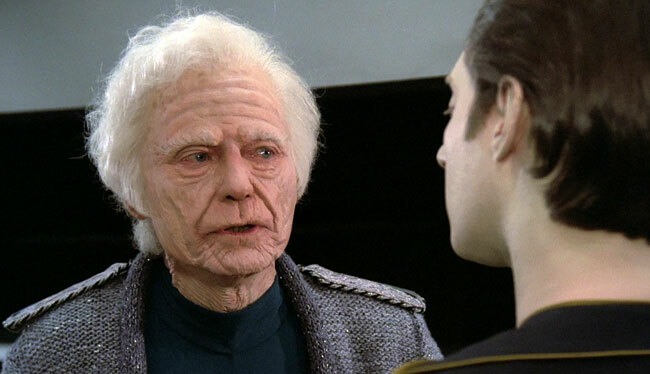 Kelley appeared as the 137-year-old Admiral Leonard McCoy, Starfleet Surgeon General Emeritus, in a cameo role, in the first episode of Star Trek: The Next Generation, “Encounter at Farpoint” in 1987. In 1998, he lent his voice to the children’s series The Brave Little Toaster Goes to Mars, as the satellite, Viking 1. Sadly, Kelley would succumb stomach cancer in June of 1999. He was 79. While gone, DeForest Kelley’s contributions to the Star Trek universe will never be forgotten. Karl Urban, a self-professed Star Trek fan, paid tribute to Kelley with his portrayal of the character, in J.J. Abrams’ Star Trek (2009) and Star Trek Into Darkness. DeForest Kelley talks about his favorite fan letter, from the film Trekkies, in the video below. Have a great “Bones” memory? Share it with us in the comments below.